New Delhi: Maruti Suzuki India Ltd said Wednesday it will hike its car prices from next month to offset the adverse impact of an increase in commodity prices and foreign exchange rates. The carmaker, India’s largest, did not specify the quantum of the car price hike. The company, at present, is working out the range, a company official said. 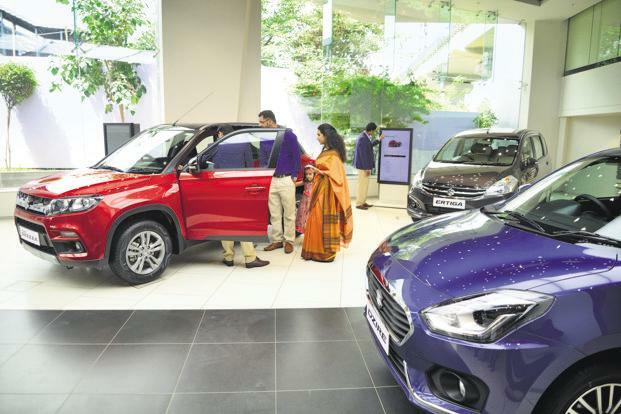 “The cost of company’s vehicles has been impacted adversely due to the increase in commodity prices and foreign exchange rates,” Maruti Suzuki India said in a regulatory filing. “Hence, it has become imperative for the company to pass on some impact of the above additional cost to customers through a price increase across various models in January 2019,” the statement said. This price increase shall vary for different models. Currently, Maruti Suzuki cars start from the entry-level Alto 800 to the premium crossover S-Cross priced between ₹2.53 lakh and ₹11.45 lakh (ex-showroom, Delhi). On Tuesday, utility vehicle maker Isuzu Motors India Pvt. Ltd said it will hike prices of vehicles by up to ₹1 lakh from January to offset increasing input and distribution costs. Last month, Toyota Kirloskar Motor had announced that it would increase prices of vehicles across models by up to 4% from 1 January 2019, to offset increased manufacturing costs due to rupee depreciation. On Tuesday, Maruti Suzuki shares fell 2.14% to ₹7,559.55 apiece on the BSE while the benchmark Sensex lost 0.69% to end the day at 35,884.41 points.